Initiatives could be introduced to raise awareness and focus on specific road user issues, i.e. road safety week. To ensure the safe movement of vehicles and plant on and around site, speed limits should be in place, alongside a banksman available to supervise entrance and exit from site, if necessary. Specific safety measures should be demonstrated towards vulnerable road users, for example children, the elderly, or disabled members of the community. 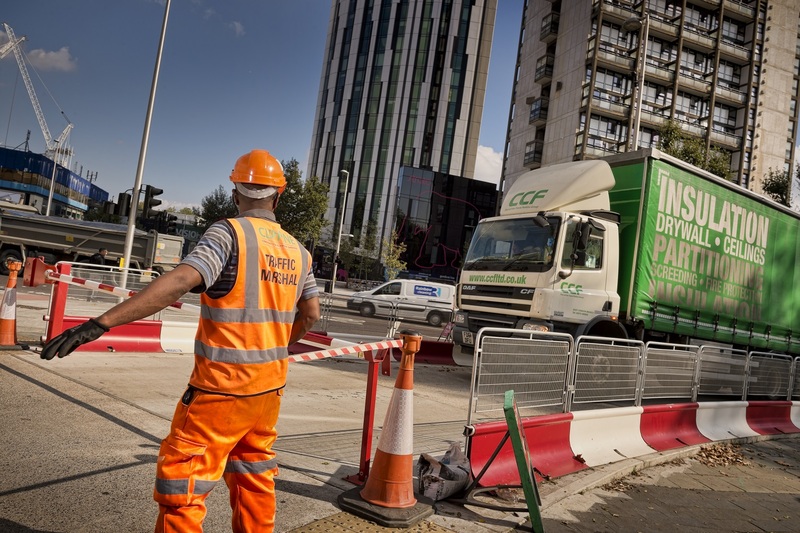 In an effort to help reduce, promote and make drivers further aware of the risks posed by HGV drivers on the roads around construction sites, a leaflet was produced in addition to company details issued to all suppliers with maps and routes. These leaflets had slogans such as ‘Think’ ‘Look Out For Us’, with children, cyclists, parent and child triangle symbols on one side with injury and fatality statistics prompts for pedestrians, children and cyclists UK and worldwide on the reverse. Signs were attached to the back of company vehicles warning cyclists and pedestrians to wait until it was safe to pass.